The Mendocino Board of Supervisors and County Counsel Thomas Parker met in a closed-door session Tuesday to discuss a pending federal subpoena for records held by the Sheriff’s now-defunct medical marijuana cultivation program, County Code 9.31, in which registrants were allowed to grow collectively up to 99 plants and were sold zip ties for $25 per plant to show they were being cultivated in compliance with state law. Medical marijuana patient advocates are urging the county not to comply with the subpoena and attempt to quash it. A brief public comment period was scheduled for 9 a.m. Tuesday just prior to the closed-door session. According to the Ukiah Daily Journal, federal authorities used a grand jury to subpoena “financial records the county of Mendocino keeps regarding its medical marijuana ordinance,” and others have speculated that private patient information is also being sought. 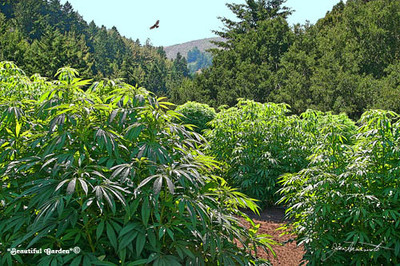 The federal government has escalated its attack on California’s medical marijuana law over the past two years, but has focused particular attention on Mendocino County. In 2010, the federal Drug Enforcement Administration (DEA) raided the legal crop of Joy Greenfield, who was the first cultivator to register with the Sheriff’s Office in the widely popular program that raised hundreds of thousands of dollars of new revenue for the county. No arrests were made in the Greenfield raid, but all of her and her patients’ medicine was destroyed. In January, U.S. Attorney Melinda Haag approached then-County Counsel Jeanine Nadel and some members of the Board and apparently threatened to file an injunction against the program and seek legal action against county officials who supported it. So, in March, at Nadel’s recommendation, the Board voted to end the program. However, not satisfied with that outcome, the federal government issued a subpoena in October to the Mendocino County Auditor-Controller’s Office. And though the DEA and U.S. Attorney could “neither confirm nor deny” that a subpoena was issued, Sheriff Allman has indicated publicly that he provided documents to the county’s attorney. A federal subpoena for the records of 17 patients held by the Oregon Medical Marijuana Program (OMMP) was quashed in 2007, after the Oregon Attorney General successfully defended the OMMP and the privacy rights of patients in federal court. However, last year the Justice Department was successful at obtaining the records of seven unknown patients from the Michigan Department of Community Health, after State Attorney General Bill Schuette failed to defend the privacy rights of Michigan patients despite such protections explicitly outlined in state law. California Attorney General Kamala Harris has not yet commented on the federal subpoena in Mendocino County. Earlier this year, ASA invited the Mendocino Board of Supervisors to join a Tenth Amendment lawsuit against the Justice Department for commandeering the local law and the advocacy group has since renewed the invitation. “If the county doesn’t stand up to the federal government, then we will represent the interests of medical marijuana patients in this matter,” Elford said. ASA said it is committed to challenging the federal government’s actions and is developing a legal strategy for such contingency. 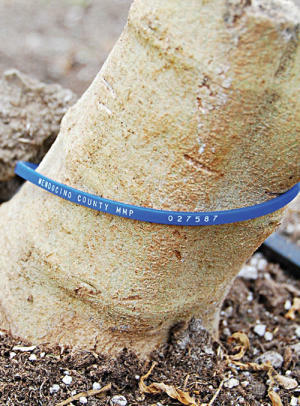 It has been working with the Emerald Growers Association (EGA) in urging local officials to resist federal intimidation. Previous ArticleAll Border Collies Are Descended From A Dog Named Hemp!